The word ‘attitude’ is talked almost by everyone and people often talk about positive attitude and negative attitude. However, most people have only a vague idea about it and would not be able to explain its meaning and implications in life. Moreover, most of the time’s people are neither trying to learn nor do anything to improve upon their attitude. Surprisingly, most of the academic study courses do not include this topic in the curriculum. A frame of mind affecting one’s thoughts or behaviour: outlook, position, posture, stance. A pre-disposition or a tendency to respond positively or negatively towards a certain idea, object, person, or situation. Attitude influencesan individual’s choice of action, and responses to challenges, incentives, and rewards (together called stimuli). A person’s attitude is the most important aspect of personality. Without good attitude any amount of intelligence, knowledge, information, skills would be futile. It is interesting to note that graduates of various diverse streams like engineering, sciences, history, geography, sociology, economics, chartered accountants etc; mostly go for a common post graduate course viz; MBA. Obviously they have specialized knowledge in their respective streams and during MBA study, they would like to gain in areas which are commonly useful to all streams. Needless to say that dealing effectively with human beings is a thread which cuts across all streams and learning to refine one’s attitude is the simple most important aspect of dealing with human beings. This must be the most important agenda in every student’s list who enrol for MBA programme. Unfortunately the attitude refining does not happen in one day and it requires a prolonged conscious thought and effort in this direction. 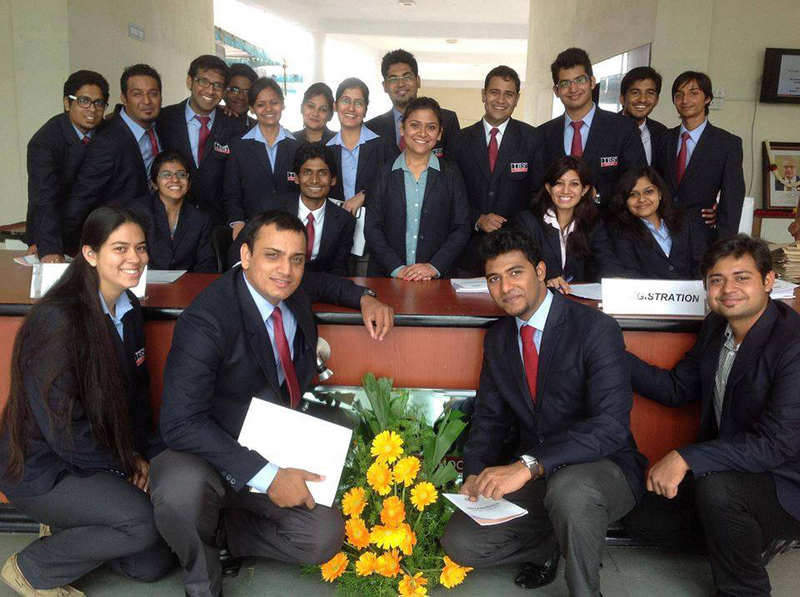 There cannot be better time to embark upon this journey than the first day of MBA course. A person’s achievements, joy, happiness, satisfaction in life all depend entirely on attitude one chooses in life. MBA programme is the most opportune time for the students to explore this area and navigate themselves to grow in refining and developing their attitude. There are hundreds of books on the subject and thousands of articles in print and there is ocean of thoughts and ideas on the internet in this area. To learn the subjects as per syllabus, pass examinations and get good marks. 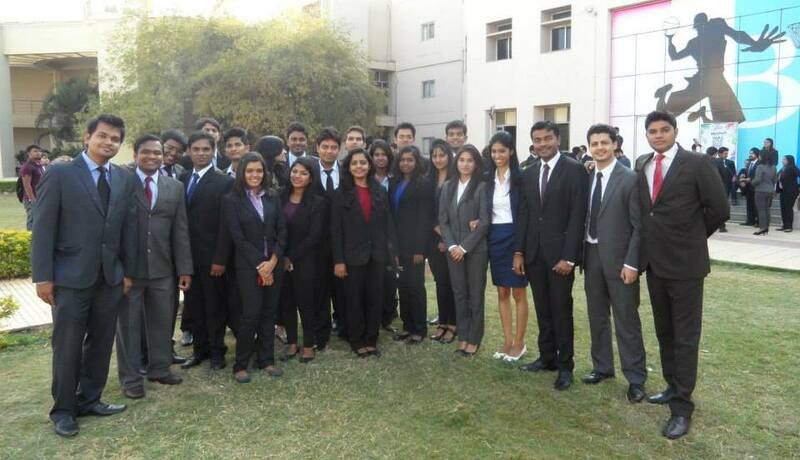 To complete all group projects, assignments and other co-curricular activities leading to personality development. 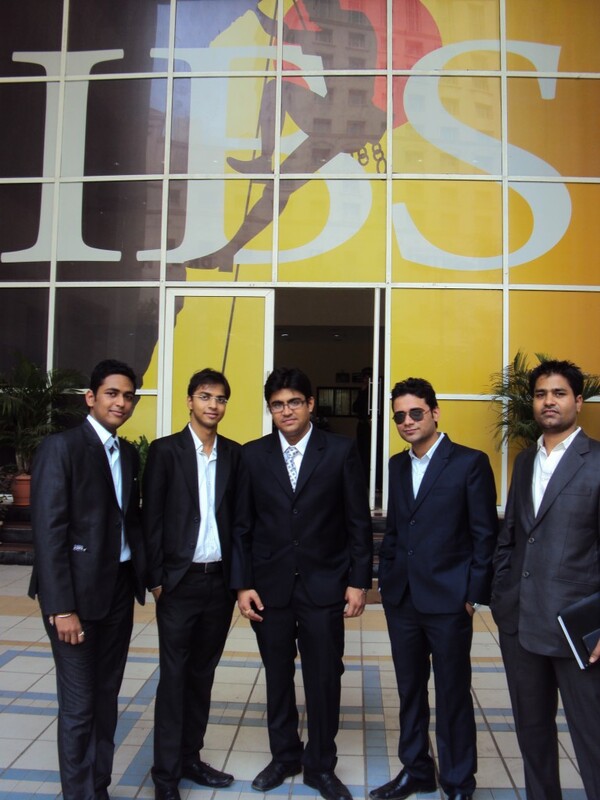 To get campus placement in a good company with high salary package. It is absolutely necessary to shift our focus from tangible to intangible, from information and theories to feelings & beliefs, to harness our potential as human beings. It is also necessary to count your blessings daily, get proper rest and exercise, set aside personal time with family and close friends, help someone less fortunate, create an upbeat positive greeting, develop a “Whatever-It-Takes” attitude. We can actually say that attitude is a state of mind, it is your mind-set; it is the way you look at things mentally. It reflects how we feel about something. Feelings may be favorable or unfavorable to person, objects or event. Listen intently and learn to appreciate others view point. Charles Swindoll has very rightly said that the remarkable thing is that we have a choice every day regarding the attitude we will embrace for that day. We cannot change our past, we cannot change the fact that people will act in a certain way. We cannot change the inevitable. The only thing we can do is play on the one string we have, and that is our attitude. It is said that life is 10 percent what happens to us and 90 percent how we react to it. M.B.A. sounds like a very serious course with no fun and absolute study to parents and wise adults but entertainment along learning; I believe never fails to excite anyone. Dissecting entertainment into fragments, the film industry, called Bollywood (casually) provides us with drama, action and emotional flicks that not only impress us but also leave a lasting impact in our brains via messages placed subtly through documentaries, biographies etc. When I talk about movies as a medium of learning, the focus comes to observed learning i.e. learning while watching or noticing. With a view to learn through this article, let us explore this little list of flicks valuable for ‘would be’ managers. Very few people must have read the book called ‘Lean In’ by Sheryl Sandberg which is about empowering women at work and valuing their contributions. 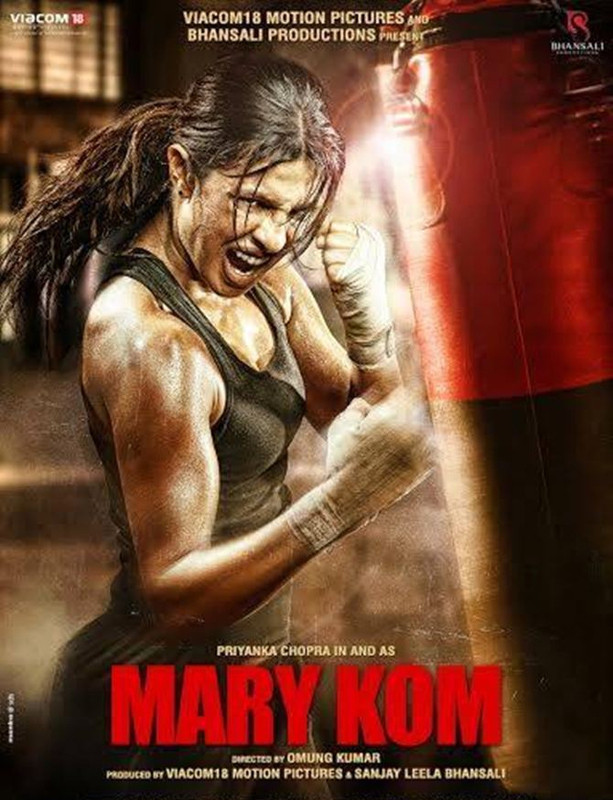 Mary Kom is a variation of the book that talks not only about standing up for your passion but also understanding the values and struggles of a leader. A ‘would-be’ manager must be aware of the behaviors, concerns as well as challenges that their female colleagues face or would face in front of them in offices and meetings. This movie will guide you about how work life balance is disturbed with family expansion and how it can be restored. Corporate is a movie about how competitive businesses run; how companies play with ethics and values; how products are developed and the effort that goes in product development and launch. This movie is about doing anything for recognition and awards; pleasing the seniors; letting go ethics and planning how to blame one’s own employee to one’s benefit. Though this movie talks about strategy and profits; one must notice the attitude the company heads showcase during the entire movie. One must see the interaction among the upper level management and how things take shape. 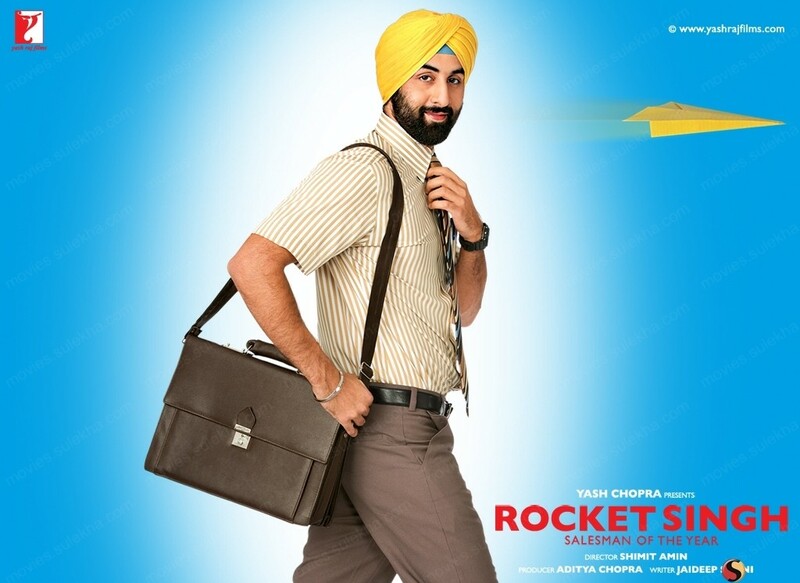 Keeping distance between personal relations and professional relations is shown in this movie along with politics in the corporate. 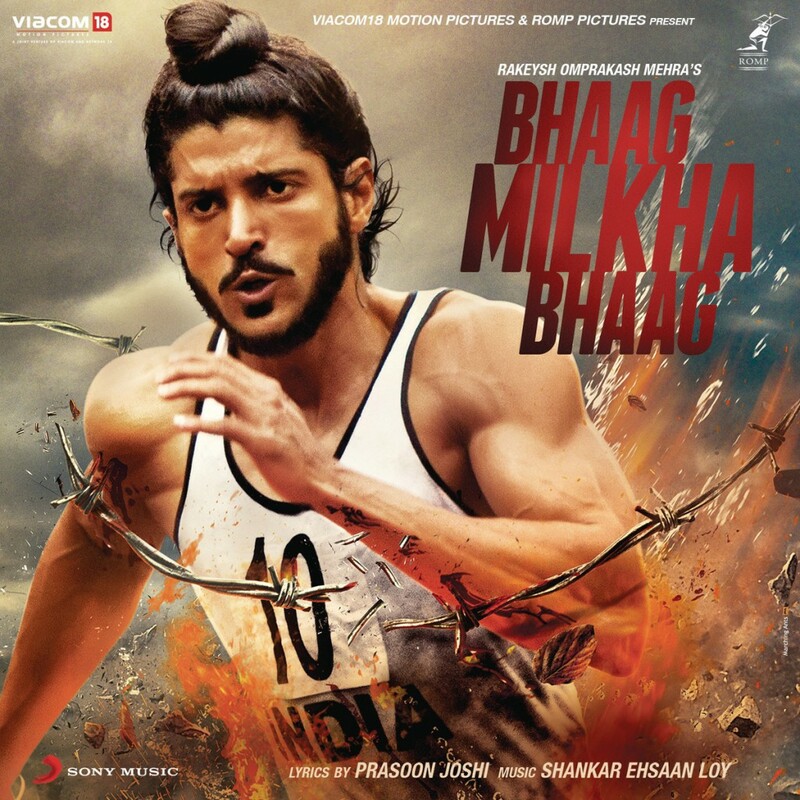 Bhaag Milkha Bhaag is about making the best out of the worst situations which the protagonist does during partition. Further, as the character gets motivated, he understands the value of efforts, dealing with personal life along professional life, taking risks and other ingredients that make life. This movie is about trusting your coach i.e. real life mentor; dealing with stiff competition and overcoming all emotions that stand in way of your dreams and work fulfillment. You get to learn about motivation, focus and inspiration of an individual who makes it big for his family and motivation. In real life focused action towards goals and objectives brings success faster than anything. This movie shows a protagonist progressing with observational learning while working in a company. This movie will tell you the details of how personal selling and sales takes place and the strategies required by a salesman to achieve his target. You will learn what all things to avoid on the job as a salesman and how to make best of your time. One gets to see entrepreneurship, sales pitch, competition, handling objections during sales, making difficult things work and other marketing lessons which are not present in the books. Remarkable factors this movie shows are that customer satisfaction and servicing has no time and if you transfer delight to your customers, they will reward you with loyalty. 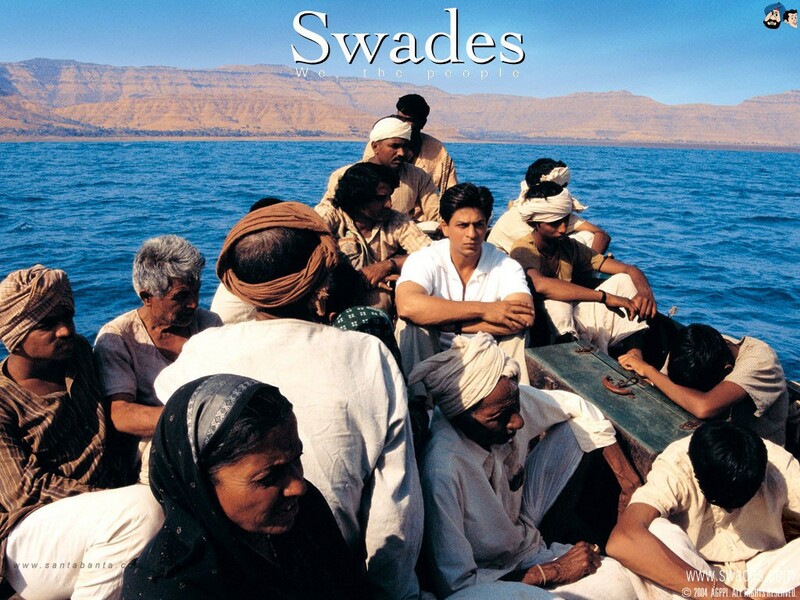 Swades is a movie on rural development and this makes you realize the scope for rural marketing in India. India faces immense brain drain every year and people remain unaware about the need for rural marketing and development in the towns and villages of India. Remember, cursing India, cities and towns for backwardness, is easy but taking action to develop the backward areas not only involves career risk but also immense hard work. It is your nation that demands talented and skillful brains more than nations which are self dependent. It is easy to compete and go for international companies but it takes real guts to move things that are stagnant. More than MNC’s, the roots of the nation require educated and willful managers who can help them progress, develop and upgrade. Remember I am not talking here about a fancy concept called Rural Contribution but a real effort from learned in the form of NGO’s if not government jobs. 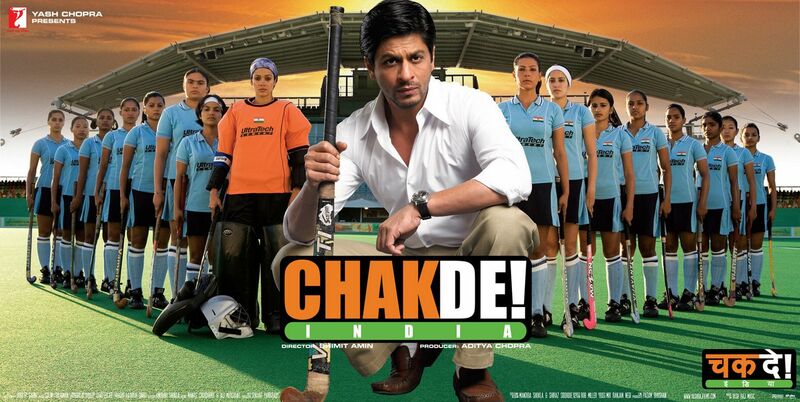 Chak De is about making best of your life even after hitting the bottom. The protagonist coach Shahrukh Khan is defamed in the beginning and hence to restore his pride and honor, he toils hard to develop, build and coach an underdog women’s hockey team. This movie is about the strength and power of teamwork and efforts. This movie clearly shows one how to become a powerful leader, how to help and support each other at workplace as well as placing professional goals over personal goals to not only bring professional but also personal success and happiness. This movie is about strategizing to achieve objectives and never losing heart over failures. 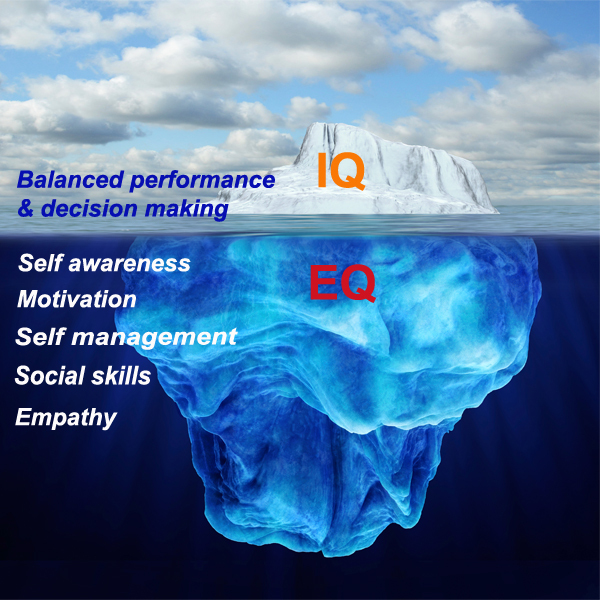 For a ‘would-be’ manager, Emotional Intelligence along Soft skills is crucial to understand people at work. Some people are motivated positively by criticism while some take it personally and do not improve. 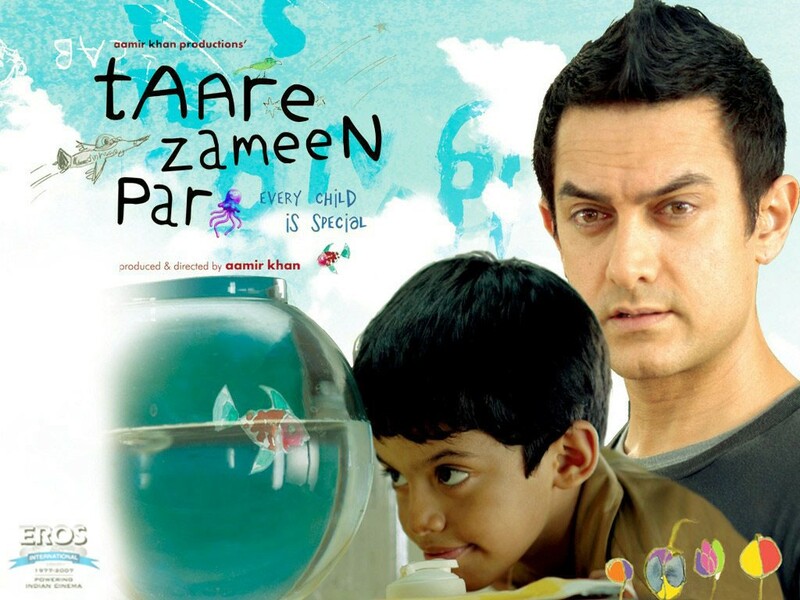 Though the movie talks about children in detail, I suggest this movie to all would-be managers to make it extremely clear as to how one must be abundant in praise and stingy in criticism. This movie clearly shows how you lose interest and zeal when you are subjected to constant criticism instead of a more humane approach. In the current environment where everyone is toiling and has stress in their lives; it is crucial for you to understand how factors like depression, lack of confidence etc come into picture and affect your and other’s performance. 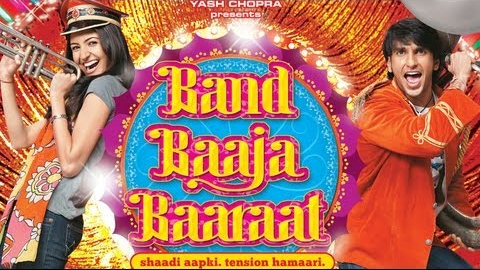 This colorful movie is about an event management entrepreneurship venture. What you can really learn is valuing subordinates and colleagues at work; imbibe the essence of teamwork; understand how pitfalls and mistakes shape you towards success; how to impress clients by understanding them and researching on their real need. Further this movie will not only entertain you but also make you understand how to identify teammates’ strengths and merge them with yours; importance coordinating with various departments; how to plan and organize resources and most importantly delighting customers. The crucial lesson here is to maintain a distance between personal and professional relationships for the benefit of organization as well as one’s own career. Along with all these, you must see Madhur Bhandarkar’s Fashion starring Priyanka Chopra which shows how people are treated till the excel and perform while how they are rejected and abused when they fail. I don’t know whether you have seen these movies for the messages and learning I have shared with you. Hence, it is better to experience how things function in the corporate along with the behavior of people out there. Movies teach you that life is about finding your actual strengths and capitalizing on them! 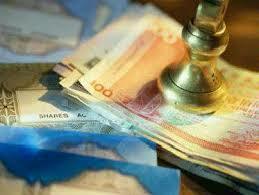 There has been various parallel systems for organized financial trading in India. SEBI handles equity market, RBI handles bond-currency-derivatives, FMC for future market commodity at the same time IRDA regulates insurance industry in the country. Securities and Exchange Board of India (SEBI) was established in the year 1988 and was made statutory body through SEBI Act of 1992.With the purview of equity market SEBI takes care of issuers of securities, investors, as well as market intermediaries. Reserve Bank of India (RBI) on the other hand was established in 1935 under RBI act of 1934 as the apex institute of countries monetary system. It has three prime roles first of currency authority where it acts as the soul agency to print currency, acts as governments bank providing loans to government as well as handling governments borrowing program. RBI though being Central Bank of the country was handling dual operations i.e doing investment banking for the government as well as handling money flow through quantitative tools of monetary regulations. Now because of this conflict of interest bond buyers were always in a jiffy while buying bonds from someone who already knew what the next interest rate would be.RBI always had an incentive to get their work done without making much effort by forcing banks to buy governments bonds which had an adverse impact over corporate and infrastructure bond market. 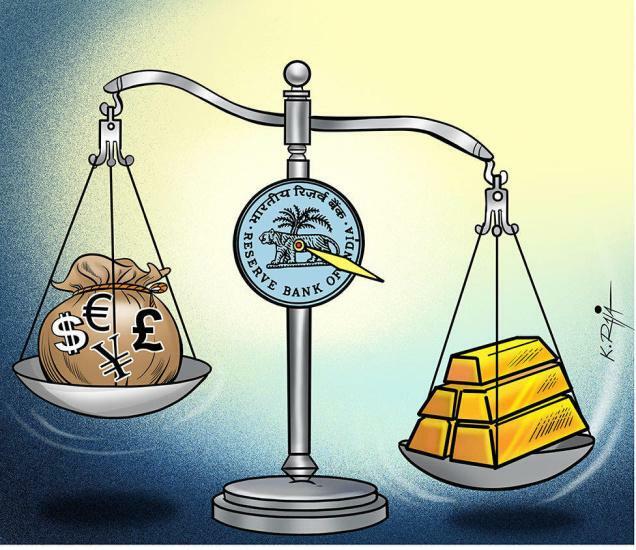 At the same time monetary policy transmissions like rate cuts by RBI was not propagated easily to the end customers as seen during recent times. At the same time SEBI which was merely handling equity market had quasi judicial, quasi-legislative and quasi executive powers entrusted upon it. Thus it can regulate, it can investigate as well as pass disgorgement orders if needed. Very much evident as the equity market started outperforming other markets it witnessed increased flow of insurance money. Local firms invested close to Rs 62000 Crore in equities in fiscal year 2009-10 of which Unit Linked Insurance Plan (ULIP) only accounted for Rs 50000 Crore unlike traditional insurance plans which predominantly invested in government securities and debt. It created standoff between IRDA and SEBI because ULIP had investment content at the same time it was an insurance product , thus initially SEBI had to put ban on insurance companies over investment until they get registered with SEBI and later on allowed the existing investment but putting ban over new launches under the scheme. Looking at the increased potential of the market and to put check over ponzi schemes government amended SEBI Act. According to which any unregistered scheme having corpus of Rs 100 Crore or more would be deemed as Collective Investment Scheme (CIS) , will be under SEBI’s jurisdiction. Further it empowered SEBI to call for information and records from any person including any bank or any authority or board or corporation established or constituted by or under Central or State Act which in the opinion of Board, shall be relevant to any investigation or inquiry in respect of any transaction in securities. Now they can search any building, place, vessel, vehicle or even aircraft in search of needed documents with prior permission of designated court in Mumbai. They can seize any relevant document even If those are not directly related to security market but helps in the investigation. These amendments helped SEBI in streamlining the market operations and in putting check over illegal money raising. As a result of which SEBI issued more than 1700 attachment orders and detained one person this year, while ordering total refund of investor’s money amounting to around Rs 100000 Crore which according to it was raised through ponzi schemes majorly. These actions not only provided safeguard to common investors at the same time forwarded the message to everyone that SEBI was keeping a close watch on the market and any attempt by any one small or big to manipulate or defraud investors would attract immediate punitive actions. Now it was very evident that SEBI was proving itself to be most disciplined regulator in the country and was in a better state to carry out smooth operations for all kind of markets. Most importantly in market like India same participants take positions across different asset classes and concept of different regulators to oversee different parts of their trading behavior was providing them additional regulatory arbitrage opportunity. Hence various experts committees recommended actions along the same line. For example setting up of Debt Management Committee was suggested by RBI Annual Reports, Jahangir Aziz Working Group, Justice Srikirshna Commission, Raghuram Rajan Committee, Urijit Patel as well as Percy Mistry Committee. Similarly merger of organized financial trading with SEBI and Inflation targeting was talked about in the Percy Mistry Committee Report, Urijit Patel Committee Reports, Raghuram Rajan Committee Report as well as Justice Srikrishna Commission Report. Hence RBI agreed to sign Monetary Policy Framework according to which RBI now has an objective of delivering year on year CPI between 2-6%.Statutary PDMA will be established and government bond market regulation has been shifted from RBI to SEBI. 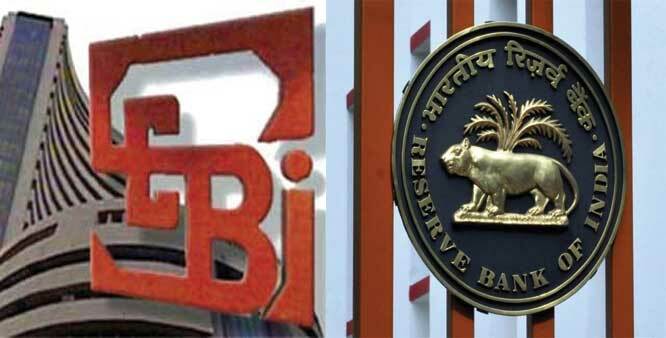 Moreover FMC has been merged into SEBI thus making SEBI a single regulator of financial trading in the country. Merger of FMC with SEBI will improve the commodity forward markets and reduce speculations, at the same time it will facilitate domestic as well as foreign participation and launch of new and better products. PDMA now will henceforth carryout investment banking for government of India a role which was earlier played by RBI, which will improve the corporate and infrastructure bond market which will in turn improve the investment climate in these sectors. It should be noted that RBI will continue to design, build and operate the infrastructure through quantitative tools like Repo and Reverse Repo Rates. It is expected to lead towards a better SLR freeing up greater space for banks to lend which will in return increase small as well as medium enterprise’s lending options. In Mumbai, there is a group that runs a one of its kind ‘insurance’ service for ticket-less travel on local trains. Now, considering that millions of passengers travel in these locals everyday, the probability of getting caught is quite less. This is how their ‘business model’ operates. The traveler pays a very small monthly fees to this group. It is about 1/10th the going rate for a monthly railway pass. This way the traveler never buys a ticket and audaciously keeps traveling in the trains. If he somehow gets caught, he does not argue. He casually pays the fine, goes to his agent, hands over the receipt and simply get reimbursed. A clear win-win situation. Except the Indian Railways of course! The above example epitomizes the underlying spirit of much widely used jargon ‘Out of the Box Thinking’. Obviously, I am not of the view that merely business graduates from esteemed B-Schools have the ability to think out of the box. Because there are loads of people who, without any formal education or an MBA degree have performed wonders by using their imagination and creativity. For instance, Srinivasa Ramanujan (A self-taught genius mathematician), Michael Faraday (An uneducated guy who revolutionized our understanding of electricity), William Hershel (A musician who discovered the planet Uranus) and not to forget Donald G. Harden (A simple high-school teacher who cracked the notorious Zodiac killer code). In fact, I wish to throw some light on how MBA education actually helps students think unconventionally. For decades “thinking outside the box” has become the buzzword of the corporate world. Consequently, there is greater need than ever for employees who can direct their in that direction. Even for a working person, sometimes a change in perspective is all you need to make big changes within your existing professional career and an MBA can help you do just that. Because its curriculum has also been designed in such a way which somehow compels people to think big. The BOX is the combination of all your past experiences (good or bad)and old-school wisdom. Since the box is nothing but your learning from your own successes and failures, coming out of is virtually impossible without external. This external help may come from attending seminars, reading about new ideas or networking. 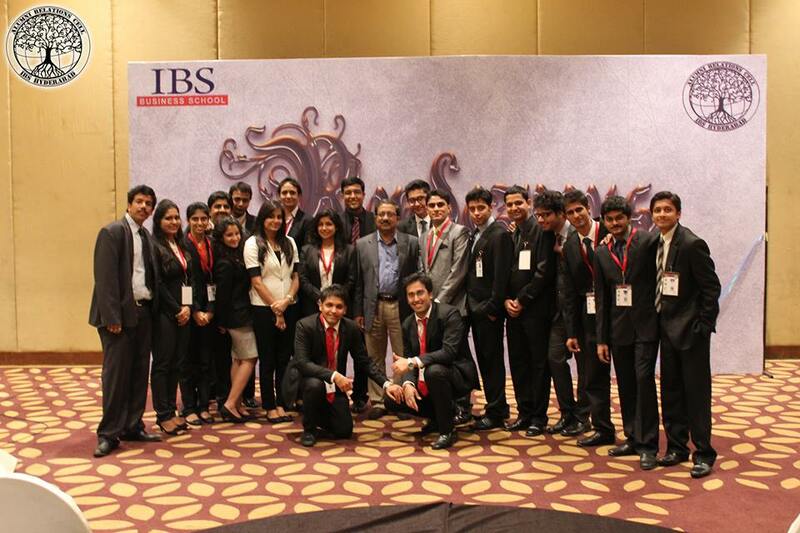 A standard B-School serves as a One-Stop-Shop as it provides all of these under one roof. In some cases, this sort of problem solving technique could end up becoming the spark that ends up creating a business that flourishes, or it could be the tool that is used to save a failing venture. In the end, it is a valuable asset that not everyone is born with, but it is a skill most people can fine tune over time and this is where an MBA can really come in handy. I am not saying that you need an MBA to start a new company. But what most people don’t know is how to utilize their entire MBA experience in shaping a new business concept and actually firing it off the ground. At the highly reputed Stanford Business School, a whopping 18% of this years class opted for the more adventurous route of entrepreneurship. Considering that start-ups usually demand substantially more innovation and lateral thinking, this only proves that the somewhat modified education program is now encouraging students for take the tougher route. The course intentionally puts you through several exercises to get you thinking beyond the box. The 9-dots puzzle (where you have to connect all nine dots using just four straight lines without lifting their pencils from the page), for example, has become a metaphor for creativity in B-Schools word-wide. Moreover, the case-study analysis helps students learn from other people’s mistakes and think of unique solutions by not just limiting their thoughts to theories like Porter’s five forces analysis or BCG’s growth-share matrix. Sometimes, during MBA, we were asked to think of a business idea and a draw a business model in the next 20 minutes. At first instance, the task seemed mammoth and virtually impossible. But surprisingly 20 minutes later, we got a bizarre blend of unusual and insanely innovative business ideas. Some of which I still remember. In the very next class, the same professor gave us a few constraints within which new business ideas had to be though of. This made the same exercise narrower. Performance of majority of the students improved drastically while a few others fell flat. Others who were caught up with their previous business idea couldn’t get rid of the hangover. It perhaps implies that most of the most managers and business owners are quite capable of thinking and solving problems effectively within the imaginary box. They are used to living with constraints all the time and rather enjoy them. They automatically explore multifarious solutions to a particular problem by generating loads of good ideas. But what about those who failed in the second test? Are they not good enough? I beg to differ. I believe putting constraints and defining parameters limited their ability to think beyond the box. There are different kinds of people. Some people need a great deal of creative freedom to excel. And if somehow, they find the right business idea and the courage to implement it in the real world, then in my opinion these are the very people you would probably see in business magazines cover pages. But even they need a platform to develop their ideas and hone their skills. To technically equip and align themselves with the contemporary world of business. MBA provides them with that platform and give them the much needed head start in the fiercely competitive blue-collar world. Thinking outside the box does not necessarily means re-inventing the wheel. Instead, re-designing the wheel may involve similar or sometimes greater amount of creativity and imagination than the original invention. Even an existing product or service can be improved by analyzing the current market scenario. Did you know the films Titanic, Ocean’s 11, Heat and Scarface were actually remakes of earlier blockbusters but these remakes went on to critically and commercially overshadow their predecessors by a great extent? Before signing off, let me recount an inspirational anecdote based on a true event. A project team at NASA was once asked to reduce the weight of a rocket by 1500 pounds. They were able to somehow come up with ideas to shed off 700 lbs off it. But they couldn’t find a way to reduce the total weight by another 800 lbs. One of the junior engineers of the team suggested that they should not paint the rocket at all. It didn’t seem like a valuable idea at first. But upon further evaluation, the team calculated that 200 gallons of rocket-paint weighed just a little more than 800 pounds. Bingo! The problem was solved. That’s ‘Out of the Box Thinking’ for you! Dynamic & lucrative, e-tailing in India has turned into a beehive buzzing with regional & international heavyweights, causing fear in traditional retailers. But there is still a long way to go before e-tailing can cause significant disruption, and no way is it going to completely replace brick-and-mortar retail in the foreseeable future. 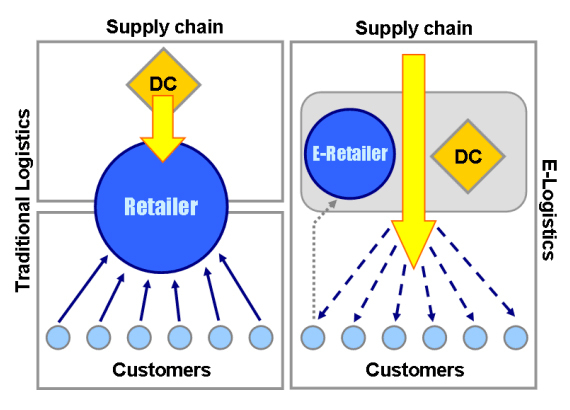 E-tailers face challenges in connectivity, logistics & regulations, and it’s difficult for most categories to match the experience of physical stores. However, e-tailing is definitely asking for a paradigm shift which will need retailers to integrate experience & technology and develop new formats to provide an omni channel platform. Inside the conference room of a Chennai hotel, 25 electronics sellers and a dozen vendors sat together, talking about an issue that is making their life increasingly difficult: online sellers are eating into their sales. Different associations representing over 16-million retailers in India are aggressively lobbying against e-tailers. Flipkart was able to sell $100 million worth of goods in matter of 10 hours on their Big Billion Day. These examples characterize how ecommerce is disturbing the traditional retail setup in India. For most of us, it would be strange to think of a world without e-commerce today. A couple of years ago, many organized retailers including some of India’s largest, were almost in denial that e-tailing would impact the retail sector in the near future. Today, the scenario has changed. Some of India’s largest and oldest retailers consider e-tailing as one of their biggest threats. As per a report by Retailers Association of India (RAI), the growth of organized retail is estimated to be around 19-20% over the next 5 years while e-commerce is expected to grow at a phenomenal 50-60%. A large market size, young and aspiring customer base and increasing adoption of technology are some of the factors assisting this remarkable growth. Ecommerce companies are making a dent in the retail business and are aggressively looking to capture a share of the minds & pockets of India’s 250.2mn internet users and 900mn mobile subscribers. 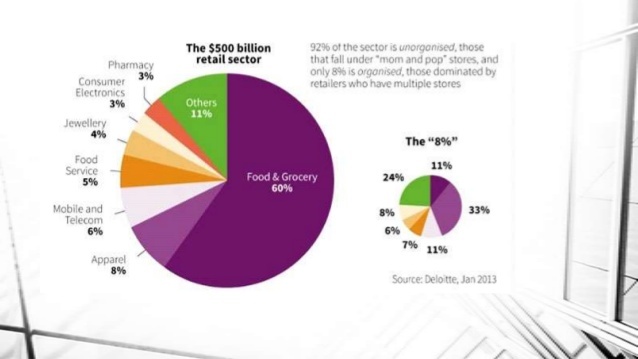 o, how real, significant and immediate is the threat to brick-and-mortar retail? Everyone doesn’t agree with Marc, and his belief in the inevitable death of physical stores. “Marc predicts the death of retail, because he’s a guy that just doesn’t like shopping”, says a critic. Currently, there is a considerable impact of e-tailing if seen only for a few segments where product differentiation is low, such as books, music and electronics or heavily discounted categories of apparel, footwear and home furnishings. And that too mostly in the top 15-20 cities for products targeting the middle and upper-middle class. No doubt, this will become more significant by 2025. However, overall the total worth of e-commerce industry in India was only $11 billion in 2013, which translates to 8.7% of organized retail and only 0.3% of total retail. Also, online travel alone contributed more than 71% of this. Arvind Singhal, founder of retail consultancy Technopak, says that the idea of online retail putting an end to offline businesses arises from the fear of the unknown. This is similar to the apprehensions of kirana stores some years ago about big retailers. Substantial disruption in the retail sector is at least a decade in the future. Reason being, critical innovations are needed that change the buying, logistics, merchandising, and secondary markets for ecommerce to create a full-blown impact. People, habits, and practices of industries don’t change that fast. It is yet to happen in a country like US (ecommerce still accounts for lesser than 10% of total retail), which means India is quite far away. Indian ecommerce still suffers from challenges of low internet penetration, last mile connectivity, expensive reverse logistics, unclear regulatory framework and poor customer feedback for most e-tailers. Despite efforts by e-tailers, it’s difficult, for most categories, to match the shopping experience (social, tactile, discovery, adventuring) of physical stores. Innovative models like flash sales are losing their sheen. The explosive growth can be partly attributed to heavy discounting, which is not sustainable in the long run. The unaffordable real estate prices won’t mean absolute death of brick-and-mortar stores, but will result in a re-valuing of real estate. Without physical stores, how will customers understand the difference between a 42” OLED & a 50” IPS LCD TV? And let’s not forget a leading factor in the continuing survival of physical stores: Immediacy. So what does this mean for the future of retail? The shift appears to be towards an omnichannel experience, what is being termed as Convergence of Online, Mobile and Bricks (COMB) retailing. The three models are not meant to be competitors, but to ultimately provide a seamless retail experience. As per a survey by Whisbi.com, omnichannel customers spend 3.5X more than other customer types. Consumers are show rooming/web rooming, online retailers are opening stores and not only are giants like Future group, Tatas and Reliance entering e-commerce, but they are also forming alliances with online players (Future Group-Amazon, Tata-Snapdeal). In the short run, to effectively cope with this change in environment, it is important for physical retailers to make a serious effort to upgrade themselves and provide a better shopping experience. This means improvements in the look and feel of stores, training of employees, better services, better technology to connect with customers and being smart about their product offerings based on customer profiles. In the long run, new retail will come from the intersection of experience & technology- using technology to gauge customer intent and accordingly providing personalized recommendations, shopping support and education to eventually fill people’s carts while making them feel good about it. The transformation of retail may mean new formats like small stores attached to big warehouses providing local delivery or sparsely-staffed experience centers (with no inventory) where you check out the goods and end up purchasing on your mobile phone through QR codes. Eventually, the question will not be “Where” but “How”: As per Whisbi.com, 89% companies expect to compete mostly on the basis of customer experience and not the channel. Finding new ways to combine e-commerce and retail, providing convenience and personalized experiences is the only way to win, or even stay competitive in this match. Recruitment is the process of stimulating people to apply for jobs. Over the years companies have realized the importance of recruitment and how a properly planned recruitment programme can provide sustainable competitive advantage to the company. The methods of recruitment have also changed and recently social media has gained popularity as a means for recruitment. Social recruitment is concerned with sourcing candidates for jobs via social media channels and social media networks. Social recruitment takes two different paths. The first is increasing reach by spreading jobs and relying on the power of peoples’ social networks –social currency – to spread the jobs far and wide. The second is actively searching for potential candidates via publicly-available information on social networks. Social Recruiting is one of the best ways to reach out to a larger audience and chose the best amongst them. It does not mean just posting job links but the essence lies in continuous and meaningful interactions with the applicant. The applicants must be asked various questions and must be provided with relevant information about the company and the job. Social Media helps in attracting audience by use of pictures and videos and thus also creating a personality of the company. It is not a clearly defined approach or set of tactics, it is a concept and a set of ideas based on using the social parts of the web for talent attraction and recruitment. Since 2009 there has been some discussion in the recruitment and social media communities about whether simply using social media as a communication and marketing channel can be called “social recruiting”. The argument is that for recruiting to be truly social, it needs to build a community, facilitate communication within that community, and rely on social connections between community members to recruit. 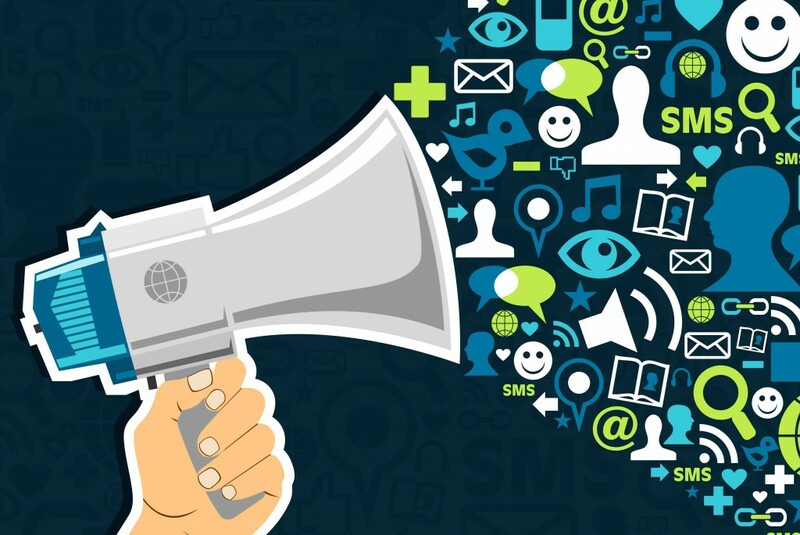 The advantage of using social media is that the message can be short, keyword focused and can be shared quickly. As the society is being more digital and technology savvy, social recruitment is gaining popularity. It is different from the traditional method of recruitment such that unlike the traditional method this involves a two way interaction wherein the goal is to create a conversation and not just push content to the target audience. It is more personal and engaging in nature, and reduces geographical diversity as it invites applicant across the globe. The applicant can also raise concerns, issues and may provide valuable feedback on the recruitment process thus enhancing the process as a whole. Another advantage is that tracking and monitoring your progress is easy. Thus it is a popular method employer branding and internal marketing. It is important to have someone who understands how candidates interact with companies and must respond to customers so as to portray a professional but approachable image of the company. The rules regarding the person interacting with the customers, the content, the topics to be covered and the tools used i.e the different media must be clearly laid out. Social media is a two way process. The companies are looking for professionals who are apt for the job whiles the applicants are looking to join their desired company that they feel is the best fit for them culturally. The company on its part must provide the seekers the core values and working culture of the company so as to ensure the candidate is not just job fit but also organization fit while the applicants on their part must be careful while posting anything on social media as they are constantly being monitored. Social recruiting uses social media profiles, blogs, and online communities as a talent database to find and search for passive candidate data and information. It also uses social media to advertise jobs either through HR vendors or through crowd sourcing where job seekers and others share job openings within their online social networks. Topping the social recruitment leader board is LinkedIn followed by Facebook and Twitter. These mediums provide easy access to the profiles of the potential candidates and well as some of their personal information. Close tracking of the candidates also helps to know the attitude, personality of the candidate thus enabling the company to hire the ideal person for the job and optimizing recruitment costs. In order to be successful companies should know how to start, which medium to use, making sure that the company pages are updated and establish the company as a relevant source and not just a company posting about job openings. Making new connections through Facebook, Linkedin etc. Social recruiting falls broadly into two categories- Push and Pull. Push strategy is used for passive job seekers who are highly talented and are currently working for another organization but are of high value according to the company. Since they are passive in nature the company has to make efforts in order to stimulate them to apply for jobs. Techniques like phone sourcing and internet sourcing are used where cold calls or individual means are sent to the prospective recruiting targets so as to create a positive image of the company in their minds. Pull strategy on the other hand is an old fashion method used when candidates are actively seeking job opportunities. Techniques like job posting and using social media pages are applied where the candidates view a company’s profile and the job opening and then based on their perception about the company and job decide whether they want to apply or not. Thus, it is important for the company recruiting through social media to ensure to have large network and employers who are technology savvy and have the ability to understand the personality and attitude of the people after close monitoring and interactions. Social recruitment offers a new dimension for hiring and is the way forward for companies to attract talented personnel and if planned and implemented properly provides it a competitive edge to the company also called the “Blue Ocean Strategy”. Ever since the evolution of civilization, homo-sapiens required some medium to exchange their thoughts amongst themselves. The process was defined as communication and various mediums were developed to facilitate it effectively, timely and safely. Now a day, apart from old school face-to-face conversations, people use e-mail, text messages and phone calls or chat-engines for communications. Even when these mediums are highly advanced, the basic ground rules of effective communication have not changed much. In fact, I personally feel that due to the technological advancements in the mediums of communication, the need to reinforce the basic etiquettes has become even more pivotal now. So, there are personal communications and then there are business communications. You are the king of your personal life and mostly you are not judged on the basis of ways in which you handle things. But in professional life, opinions are being formed about you by watching your every action. In fact, in many cases, perceptions are formed just by seeing the way an e-mail has been written or in the way communication on telephone happened. For being successful, one needs to manage his image/perception in the right way apart from having the skill-set and determination. So, one needs to chisel down his communication skills in order to be successful and that effect will rub on the personal life also. So, let us try to cover the three most used modes phone, texting and e-mail. I will talk about phone first because more often than not people find it extremely convenient to just pick up the phone and talk. In case, you are making a call, start with the greetings and introduce yourself briefly (in case you are speaking for the first time. Then before stating the agenda of the call, ask for the person for whom the call is. Listening actively and focusing on the person in conversation is the most important ingredient of a smooth telephonic conversation (both ways). Watch your volume level during the conversation because if you are talking that doesn’t gives you a license to disturb others. An etiquette that one must follow while picking a call is that the receiver must receive it till it rings three times. Also, as per me one most abused etiquette during the telephonic conversation is that one party doesn’t informs the other before taking further actions as in putting on hold, connecting to some other person, taking in a conference or for that matter putting the phone in speaker mode. These mistakes leave a bad taste in the mind of other party. And finally, the conversation should not end abruptly. It must always end on a closing note such as ‘Have a nice day’. It is advisable that one must not leave long voicemails. Just state the reason that you called and ask them to revert as soon as possible. That’s it!! Now, what happens if you call somebody but they are not available and you need to convey your message immediately? Texting comes in for the rescue. However, please note that texting is not a formal mode of communication. Importantly, if your message is more than 160 characters, you should switch to other mode of communication. It is advisable that you should tell that who you are in the very beginning if you have even miniscule doubt that the recipient might not have saved your contact. Mind your tone while texting because in no way you can repair the damage done to your image/relation once the recipient gets offended by the tone of your text. The best way to avoid such miss-happening is by being crisp, simple and to the point during texting. Lastly, proofread every word of your text before hitting send button to avoid embarrassing situations later. Etiquette wise, you can reply to a text in the next 48 hours and you should try to reply as many texts as possible. Lastly, the most extensively used tool for the communication, the e-mail. If you are drafting a fresh e-mail, always start with greetings. Please…please…please try to avoid typos!!! They make you look very unprofessional along with using shortcuts like u (for ‘you’), dere (for ‘there’) etc. Make it a habit of mentioning subject. Usage of a professional e-mail address is advisable in place of funky e-mail addresses if you are communicating via your personal e-mail id. Don’t overuse the high priority option. It is provided there for a purpose. Don’t abuse it by using it in every e-mail of yours otherwise recipients won’t even open your e-mails. Use your signature to give opportunity to the recipients to know more about you by giving links of your social media profiles. While replying to-mails please don’t use ‘reply to all’ feature until it is seriously required. I am sure you would agree that not everybody wants to know your opinion. Also, in ‘to’ list keep the persons from whom you are expecting a response and ‘cc’ only those for whom the communication concerned is for information purpose. Be sure to include the information to which you are replying for keeping a track of the communication. Always try to personalize the communication by using active voice during communication instead of passive voice. Before forwarding e-mail, please have the basic courtesy of cleaning it because the recipients might not be interested in reading the commentary of earlier recipients. And don’t forget to proofread the e-mail in any case before sending it. Generally, ask before sending any attachment to the recipient as in what will be the appropriate time to send the attachment. The recipients might get offended if you sent attachment without asking and it resulted in bouncing of some important mails for the recipient. Thus, in a nutshell, a communication is effective only when it has solved its purpose without causing any inconvenience to other parties and to self. I hope, you will double tick all the above-discussed points before doing any corporate communication in your respective careers. All the best! 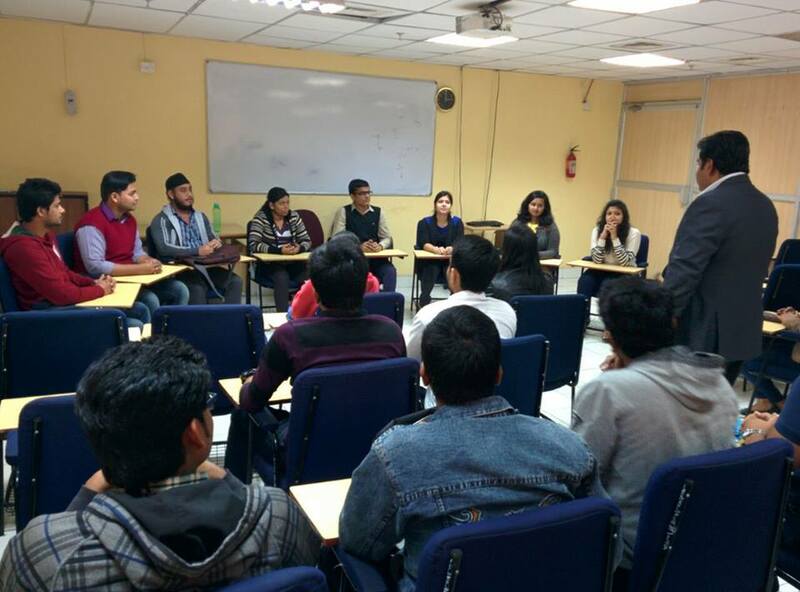 The most basic question which revolves in the minds of first year MBA students is what specialization they should go for, Finance, Marketing, Human Resource, IT, so many options to choose from. This is one billion dollar question and every student would like to take a right decision on it. But to take right decision one must know and learn about the exhaustive career options available in all of these fields. Don’t worry. I got your back. To start with, here we will discuss various career opportunities available in field of Marketing. Marketing is one awesome career choice for sure. If you are looking for a career where things can change in minutes and challenge is a part of daily routine, then welcome aboard! It is fun and requires lots of efforts. There are no rules and regulation or no set formula. No one can read a customer’s mind after all. Your only help will be day to day experience you will build over time by working hard. I have spilled the beans of various extraordinary careers you can build in here. Enjoy! How about you get paid for using Facebook? Wonderful won’t it be? 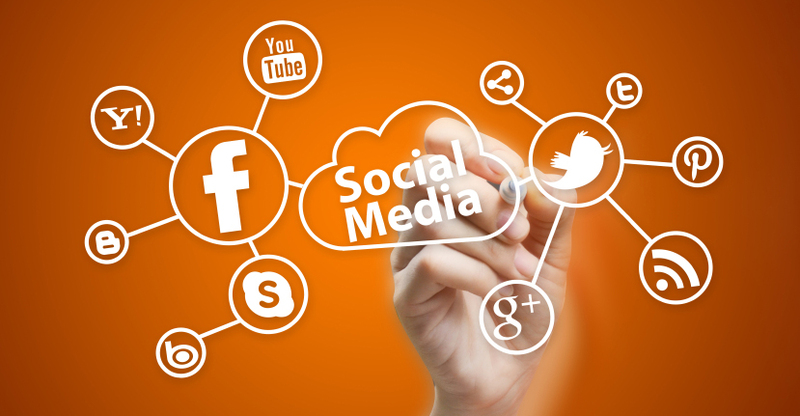 Social media marketing is about creating your company’s presence on social media. As we all know how strong social media has become and almost every person uses some or the other social media platforms these days, companies are trying to take the maximum advantage of it. Apart from well known social media websites like Facebook, Twitter and Linkedin platforms like Google plus, Quora are also very popular. You have to be extremely creative and need to have bird’s eye to catch the latest trends on social media platforms. Social media marketing is not that easy as it sounds, it requires lots of concentration and time. Building presence and brand of a company on these channels is not at all easy, so if you think you can think out of the box and bring different and catchy ideas to plate then you can consider this career option. Blogging your love? Then welcome to content marketing. Content marketing basically means developing unique content for the company which attracts customers resulting in retaining them as well as generating new leads. Have you noticed the latest trends of Scoopwhoop, Buzzfeed and Storypick? They are the examples of what Content Marketing is. For becoming content marketer you have to be very focussed and smart with your words. You will have to develop witty, funny, informative (depending upon the company requirement) and most importantly distinguished content, so the customers remain entertained. One good thing about this career option is you can always do this part time as a student as well. This will definitely be add on to your CV. You can bring out some time from your daily routine and write articles. There are many job portals where you can find part time content Marketing/writing assignments. So if you have neck of creative writing, you may consider this wonderful option. Have you ever wondered how is it to build a name for a company which ultimately becomes an industry pioneer. BMW for example. How did it become BMW? 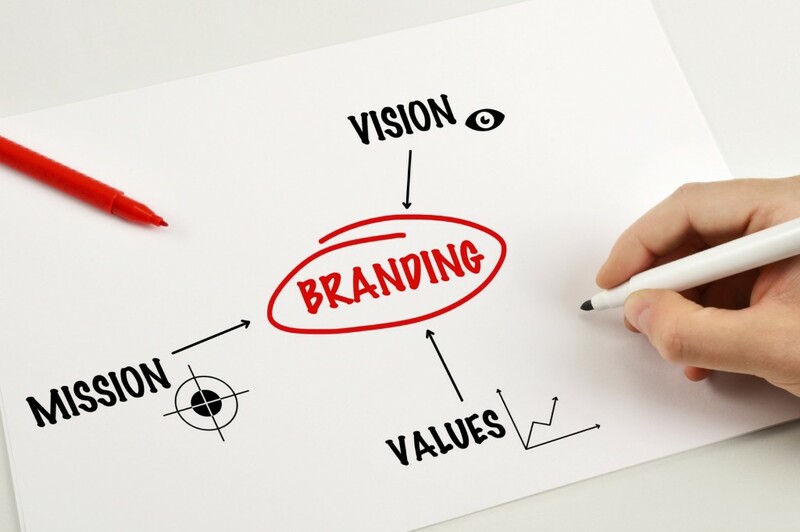 In literal terms branding is a process of creating a unique name and image for a product or a company in the consumers‘ mind, mainly through advertising campaigns with a consistent Branding mainly aims to establish a significant and differentiated presence in the market that attracts and retains loyal customers. Just like other Marketing functions, Branding also requires extreme focus. In your every campaign you will have to be extremely focussed and straight in how you bring out the image and decisions of your company. You will have to create one image for your company and retain it over period of time. If you like to bring a name to the company from the scratch and/or retain a company’s existing image with innovative campaigns, you should definitely consider this career option and excel in it. Have you ever wished you could be the mind behind the wonderful Vodafone Zoozoo campaign or some other campaign to say? If yes, then you must love advertising. If I say Advertising is probably every marketing student’s dream job, I may not entirely be wrong. At some point we all are fascinated with one brilliantly executed campaign of Coca Cola, Maggi, Cadbury etc. I am sure I don’t need to explain here what advertising mean since it’s such a demanding and somewhat hyped career option in Marketing. One thing is extremely important for a student to be in advertising is to be extremely creative. You will be required to work for long hours and bring new concepts. If you think you have it, well then best of luck. Marketing can never be completed without Sales. Sales is one part which can never ever be ignored. Although every function in Marketing is to bring business directly or indirectly but Sales is one big direct way to bring hefty revenues to company. Sales personnel are required to be having extremely well presence of mind and brilliant communication skills. Often know to be an extremely hectic job, Sales is also one of the high paying jobs in many cases. 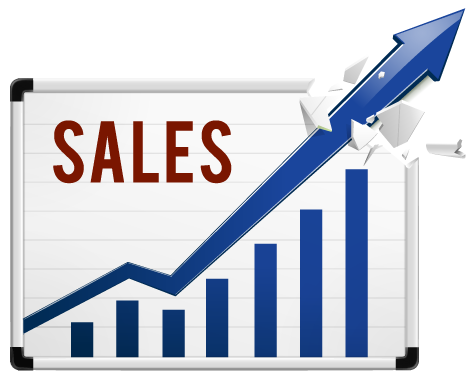 In many companies the sales force is awarded with hefty commissions as well. If you think you can pull off business from the clients and customers then sales is your way to go. Although Marketing seems very flashy to people for the kind of profiles it offers, but at the same time it is fun and requires efforts. For whatever the company is in the market, Marketing is about bringing that to the end user in the most effective and creative manner and make sure that they buy the product/service company is offering. There are some known traits which you need to have for all these above mentioned profiles but it is not necessary that if you don’t have them you cannot opt them. One can always develop skills; it’s a never ending process. Important thing is to know what you want to do and more importantly is to love what you want to do. Best of luck!